Karminder Singh from New Delhi won the second race of the JK Tyre Volkswagen Vento Cup 2015 and took the second podium of the weekend. Starting sixth on the grid, Karminder Singh made his way up the order to get the first position by end of the first lap of the race. After that he just held on his lead for the remaining race. Karminder Singh said, “I am very happy to be back on the top spot of the podium. The start of the race was perfect for me and getting ahead of everyone in the very first lap of the race was the most important part of the race for me. From there onwards, I only had to keep my head cool and make sure that I made no mistakes. During the first round too I had started down the order and come up to win. This time I have repeated the success and I have taken the all-important points in the championship". Pradeep Rao Vaidyam, who had started from the pole position, managed to finish the race in fourth. Sailesh Bolisetti showcased heroic driving by starting in the last position of the grid and yet finishing in an impressive fifth. Raghav Sharma also similarly showed extreme finesse as he finished sixth after starting way back in 16th on the grid. Sirish Vissa, Head of Volkswagen Motorsport India said, “The second race of the weekend was a much calmer race with less incidents. Drivers showed good amount of maturity today, something that they will need in the long run for sure. 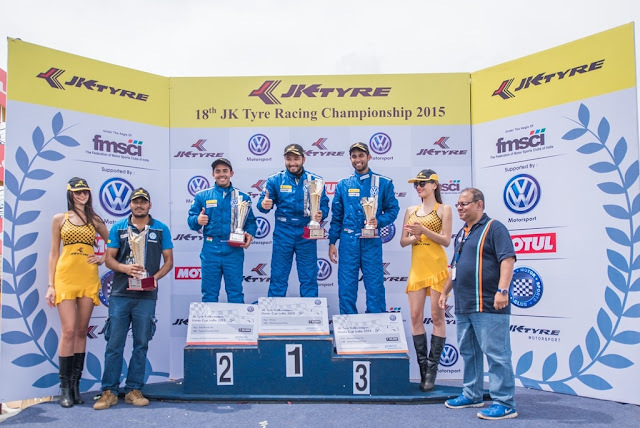 Karminder, Anindith and Ishaan have shown excellent performance over the weekend by finishing on the podium in both the races. It will be very interesting to see how the drivers perform in the much longer and faster Buddh International Circuit in the next two rounds of the season.” Volkswagen has made its own legacy in India, with 40 years of enriching global motorsport; Volkswagen Motorsport India commenced operations with the Polo Cup India in 2010. 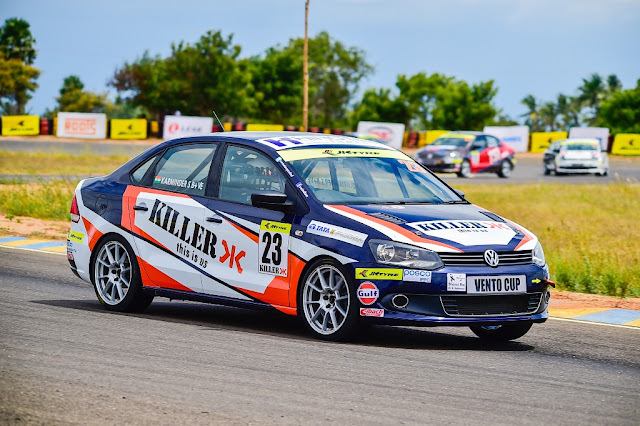 The series started off with a first- ever iconic race being held at Shri Shiv Chatrapati Sports Complex at Balewadi in Pune, the hometown of Volkswagen in India and progress become the best one make series in a short span of time. The Volkswagen Polo R Cup enhanced awareness as well as underlined the technological advancement and power of Volkswagen Polo in India.